As Pokemon Go mania sweeps the country—with everyone from film studios to small-business owners scrambling to cash in on the frenzy—the cable networks and streaming services with rights to Pokemon series and movies have found themselves with an unexpected summer bonanza. Now those networks, including Hulu and Cartoon Network, are hoping to benefit from the sudden, rabid interest in the Pokemon Go mobile app, which has reportedly been downloaded more than 15 million times since its release on July 6. In just one week, Nintendo's mobile app has increased the gaming company's value by $7 billion and racked up more than 6 million mentions on Twitter. Now, everyone wants in on the financial windfall. The game, which helped usher augmented reality into the mainstream, is inspiring and boosting small businesses, and a deal is already reportedly in the works for a Pokemon Go movie. But while any movie would be several years away—The Angry Birds Movie didn't come out until six and a half years after that app first launched—several networks currently have access to a trove of Pokemon series and movies. That's content that the 15 million-plus Pokemon Go users might suddenly find themselves extremely interested in. Cartoon Network and sister network Boomerang have linear rights to the long-running series, while the three big SVODs (Netflix, Amazon and Hulu) also have a significant lineup of Pokemon movies and series. Of the streaming providers, Hulu, which offers the most robust selection of any network with 201 Pokemon episodes (six seasons overall) and four stand-alone movies, is already taking advantage of the Pokemom Go phenomenon. Since July 1, the average minutes of Pokemon content viewed on Hulu has increased by double digits, according to the network. And since Pokemon Go launched, the daily viewers and minutes watched of Hulu's Pokemon content has risen an average of 10 percent each day. As usual, the streaming service isn't sharing specific streaming figures, but it's clear Hulu is benefiting from the buzz around Pokemon Go. Hulu has also been the fastest to capitalize on the game's success, as the network hopes to make current subscribers aware of its Pokemon offerings while attracting new potential subscribers. This morning, the network launched a Pokemon masthead atop its homepage, along with a Pokemon "tray" of content offerings further down the page. Hulu is also making a big Pokemon social push, with posts referencing the most popular terms and topics related to Pokemon Go—like crashing and catching. As for the other streaming services, Netflix, which has three Pokemon seasons and two stand-alone movies, would not comment on ratings data but said the company has not discussed spotlighting or marketing its Pokemon content in light of the recent Pokemon Go frenzy. Amazon, which has two Pokemon seasons, did not comment on its Pokemon ratings or marketing plans. 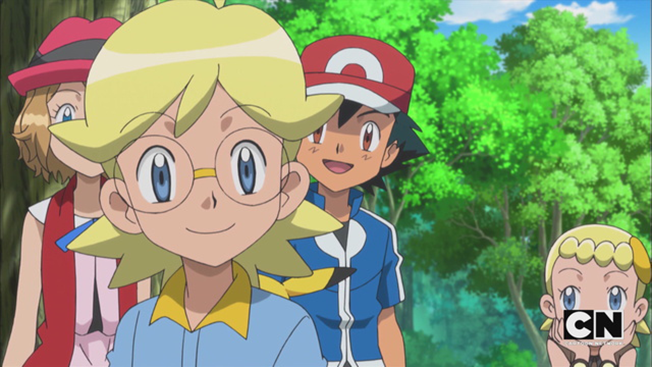 Cartoon Network, which has exclusive linear rights to current episodes of the series, hasn't yet seen a ratings bump for its weekly Saturday morning airings of Pokemon the Series: XYZ (Season 19). The last original episode—on Saturday morning at 7 a.m. on Cartoon Network—averaged 738,000 viewers in live-plus-same-day ratings, according to Nielsen. That's actually down from 881,000 viewers a week earlier. The 19 episodes of the current season are averaging 891,000 viewers in live-plus-seven numbers so far this season. But those numbers could go up. Cartoon Network has been in discussions about airing a Pokemon marathon—talks began even before the app's release. However, the network hasn't made any final decisions yet.